If you’re looking for a unique birthday party place in St. Louis, then Pole Position Raceway is the birthday destination for you! 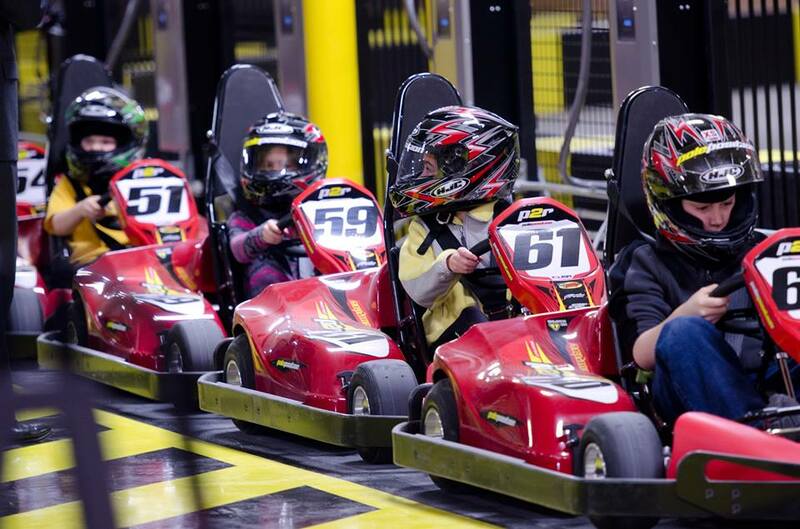 Create special memories with world-class racing at America's number one chain of indoor kart tracks. Our customizable kid birthday packages allow for one-of-a-kind experiences, with racing packages that facilitate a 2-hour birthday party event and include 2-3 races per Junior or Youth racer. All of our packages include use of our Private Party area, with a designated Party Host, invitations for the birthday party event as well as Race Car themed table settings and a Pole Position Raceway shirt for the birthday child. Interested in hosting an adult birthday party at our facility? We can accommodate for large parties and provide catering and bar options for your guests. Choose from a full facility buyout or rent our track by the hour and select the racing option that best fits your party needs, including: Open Racing, Elimination Racing, Ironman Races and more! With a wide spectrum of options available, Pole Position Raceway can customize the special occasion to suit your birthday party needs. If you don't see an item on the list of options or upgrades, please call us at 314-925-7545 and ask for an event coordinator who can provide you with more details. We require a 24-hour notice prior to any birthday reservation and slots fill-up fast. View our St. Louis Calendar of Events to determine if our facility is open to the public and available on the day of your birthday party event. 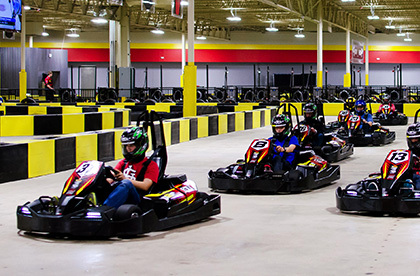 Give your friends and family something to talk about with a trip to the most unique birthday party place in St. Louis, Pole Position Raceway. Request a Reservation today!